Mrs. Haldane, one of the victims of a mysterious strangler, had a very busy dressing table. 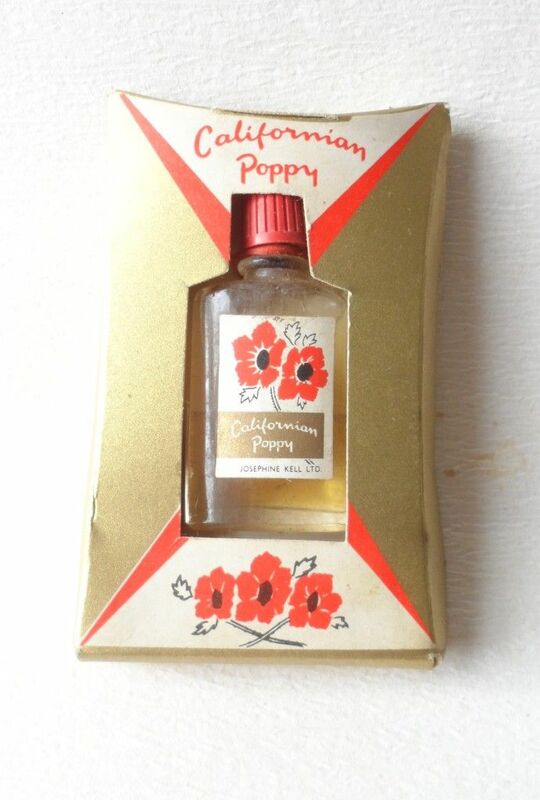 Among her perfumes, there’s a bottle of Californian Poppy, a fragrance by Josephine Kell Ltd. 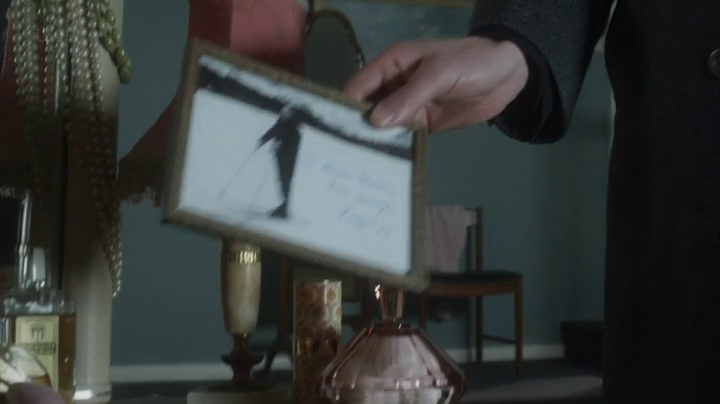 The picture above refers to the 1940s version of the perfume, while the bottle seen in the tv show has a different shape and a different lettering on the front label. The round bottle in front of Californian Poppy is the eau de cologne version of Worth Je Reviens, a floral aldehyde fragrance created by Maurice Blanchet and launched in 1932. 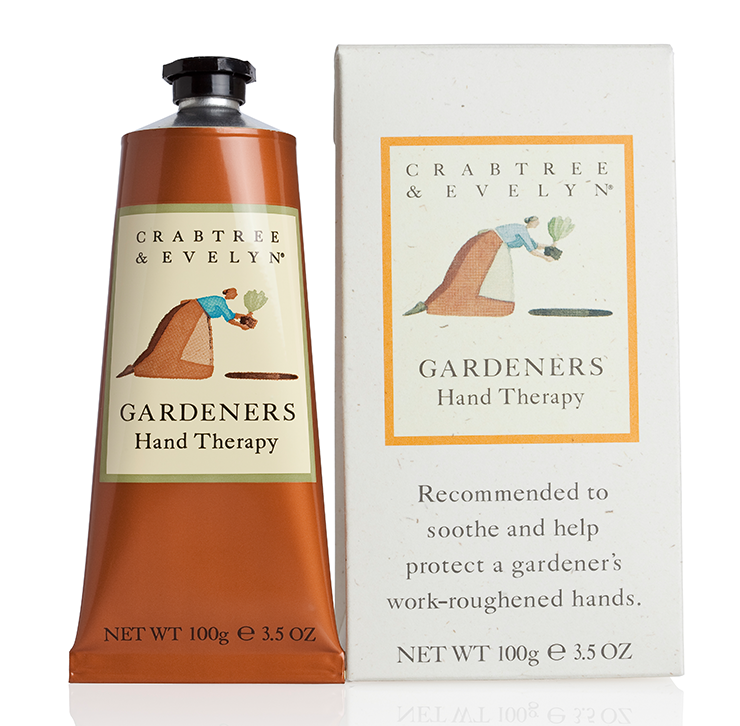 The brown tube looks like Crabtree & Evelyn Gardeners hand therapy cream. 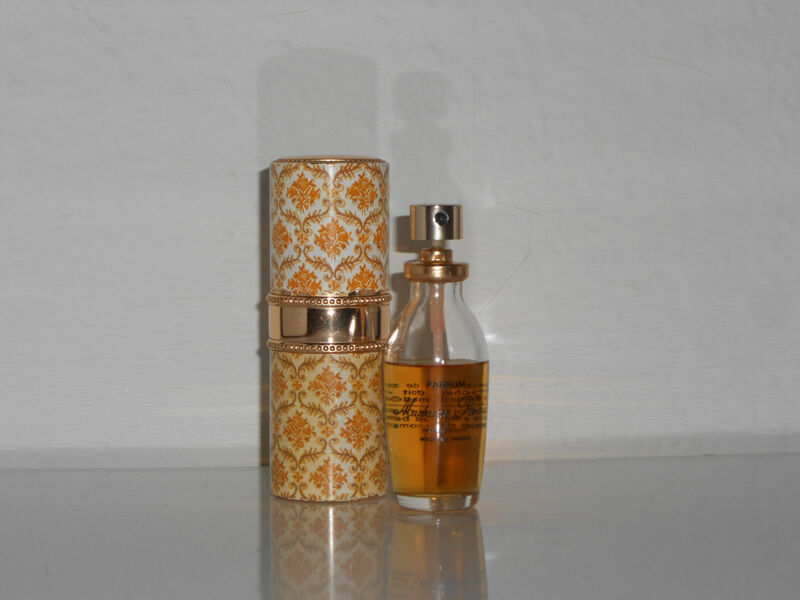 There’s also a refillable atomiser of Rochas Madame Rochas. Thanks to Jennifer for the hand cream id and to Nastja for the Worth id. Wondering if the tube in front is a tube of Crabtree & Evelyn Gardener’s hand therapy? Looks like all of the products here are vintage though. Although, trying to find vintage tube product is difficult sometimes so they may have subbed in something modern? I can also see “Je Reviens” eau de cologne by Worth… round shaped bottle with diamond label.